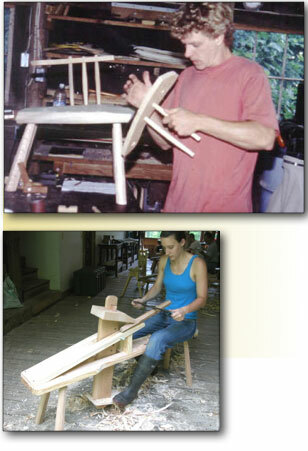 The Country Workshops summer internship provides an opportunity to attend classes in return for help between workshops. Duties include: preparation for classes, general shop and grounds maintenance, light construction, farm and garden work. The program runs from June through the second week of September. We generally have one intern each summer. We can also accept couples. Contact us for details. We are now taking applications for the coming summer.